After a breakout 2016 season that saw Milos Raonic advance to his first Grand Slam final, it seemed like only a matter of time before the big-serving Canadian won one of his own. Since then, injuries and coaching instability have set back Raonic, but tennis greats John McEnroe and Jim Courier still remain hopeful for him. When the main draw for the French Open was revealed on Thursday, Milos Raonic's name was nowhere to be found — an increasingly familiar site for the Thornhill, Ont., native as of late. Earlier this week, Raonic announced that he won't be participating at Roland Garros with an undisclosed injury. It is with a heavy heart that I am withdrawing from <a href="https://twitter.com/rolandgarros?ref_src=twsrc%5Etfw">@rolandgarros</a>. I have many great memories there, but I know I need to continue working hard to put myself in the best position when I step out on the court. Thank you all for your support and see you soon on the grass. The 27-year-old's health has made more headlines than his actual play the past couple of seasons, derailing his promising career. In 2016, Raonic appeared to be on the cusp of a major breakthrough after making his first Grand Slam final and ending the season ranked No.3 in the world. 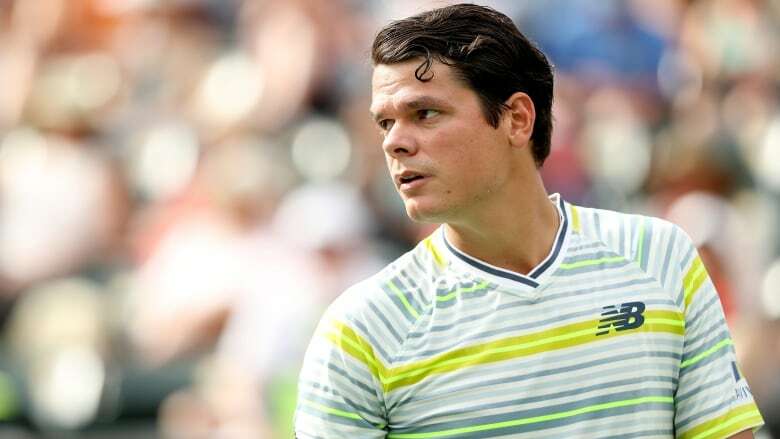 But since then, a string of injuries has limited Raonic's court time, joining fellow top players Andy Murray, Novak Djokovic, and Stan Wawrinka who have also been sidelined for a good portion of this season. John McEnroe, who joined Raonic's coaching staff briefly in 2016, spoke about the challenges beyond the physical nature of a player's injury. "This has to be six, seven tournaments at least that he [Raonic] hasn't been able to finish and that's just going to drive anyone crazy. That hurts your confidence, you second-guess [yourself]," said McEnroe, who was in Toronto last week along with Jim Courier for an exhibition tennis event. "You can see with him and Wawrinka, Murray, and Novak to some extent, if you're not feeling right physically, it goes right to your head." Skipping the second Grand Slam of the season could be a wise move for the big-serving Canadian. The grass and summer hard-court season — to which his game is more tailored to — awaits immediately afterward, and his former coach believes if Raonic is physically fit, it could be just the remedy for his former pupil. "He's had a lot of bad luck … but I suspect, knowing him and his game, it's all about if he gets healthy," McEnroe said. "If he can be that way for a couple of years, he'll be back in the mix, and believe me, there's no one that would want to play him at Wimbledon or the quick [hard] courts. Courier agrees with McEnroe's assessment, and it's no secret that Raonic's serve makes him a threat anywhere because he can take the racquet out of any opponents' hands with his power. But the last couple of years have also seen Raonic cycle through eight different coaches and Courier argues that having a steady inner circle could be just as important if the Canadian hopes to build some momentum and get back to competing for Grand Slams once again. "I hope that he settles in on a coaching team and kind of gets some stability there. 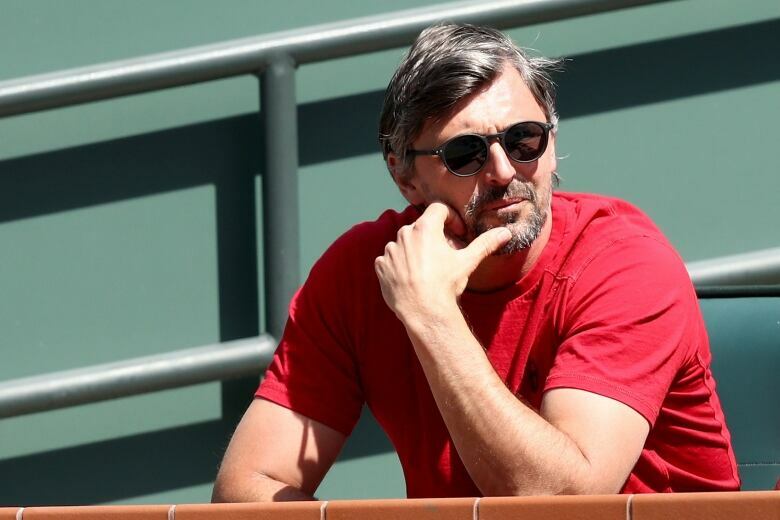 I know he's bounced around between a lot of really good tennis minds and I think that can cause a little bit of instability for a player when they don't have that common voice," said the four-time Grand Slam champion. McEnroe adds that Raonic sometimes gets himself into trouble by over analyzing things, but respects his willingness to constantly look for ways to improve. "There's not a lot of people that would go out and publicly say that, 'I want to be the best and do whatever takes,' and that puts a lot more pressure on yourself. That takes guts to say," said the former world No.1. Courier has gotten to know Raonic off the court as brand ambassadors for New Balance and through interviews as an analyst and commentator with Tennis Channel. One of the things that stood out to the 47-year-old was that Raonic was open-minded and interested to see everything the world has to offer. Whenever Raonic is a new city, he's generally walking around and looking to learn more about it rather than sit in his hotel and play video games. His intellect and vocabulary is unlike most players on the ATP World Tour and Courier isn't surprised that his personality has translated into success on the court. "The way that he's able to explain things in much more detail with better words than most tennis players can use — it speaks to his capacities. His interest in the arts and ability to find other outlets [to] become a better person all-around [and] as good as a tennis player that he can be, speaks to the type of person he is," Courier said. "He's a very good role model for anyone really because he pursues his craft in a thoroughly professional manner but he's not closed off to the rest of the world."